Very pale, 10% opaque, slightly cloudy. VA on the nose - very tawny / colheita with marzipan dominating a rather unpleasant combination. Sweet entry, little flavour other than some brown sugar. Hollow, and with little fruit, mostly the flavours are of plastic. Unpleasant. Hot aftertaste, with some dryness on the finish and of short length. Shot to bits; not unpleasant - just nothing. 74/100. Yikes: I don’t recall an AHB score that low. Generally those so low aren’t rated. jdaw1 wrote: Yikes: I don’t recall an AHB score that low. Generally those so low aren’t rated. True, I seldom gives scores that low. However, based on an admittedly limited experience, I have formed an opinion that Borges vintage ports do not mature well. Since I am not convinced that this was a bad bottle, I gave it a score. The port was not offensive - other than by being so bland as to be nothing. Hence a score, albeit a low one. Low enough to mean that if someone offered me a glass of Borges 1980 or a glass of water I would probably choose the water. Last edited by AHB on 21:35 Thu 01 Sep 2011, edited 1 time in total. True, I seldom gives scores that low. However, based on an admittedly limited experience, I have formed an opinion that Borges vintage ports do not mature well. Since I am not convinced that this was a bad bottle, I gave it a score. 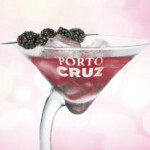 The port was not offensive - other than by being so bland as be be nothing. Hence a score, albeit a low one. Low enough to mean that if someone offered me a glass of Borges 1980 or a glass of water I would probably choose the water. Alex's mark is fully justified; I even think the wine was already maderised . There is furher sad news; I have bought in total two bts in order to get the 1980 horicontal complete. This was just the fisrt one. There is a slight chance that the second bt is better since this one was leaking which may have helped the oxidation. However this does not in the slightest change anything for this bt. This was not a very good example of a good vintage port at all. AHB wrote: Low enough to mean that if someone offered me a glass of Borges 1980 or a glass of water I would probably choose the water.